10-MAN SUPERSPORT CLINCH MTN8 TITLE! 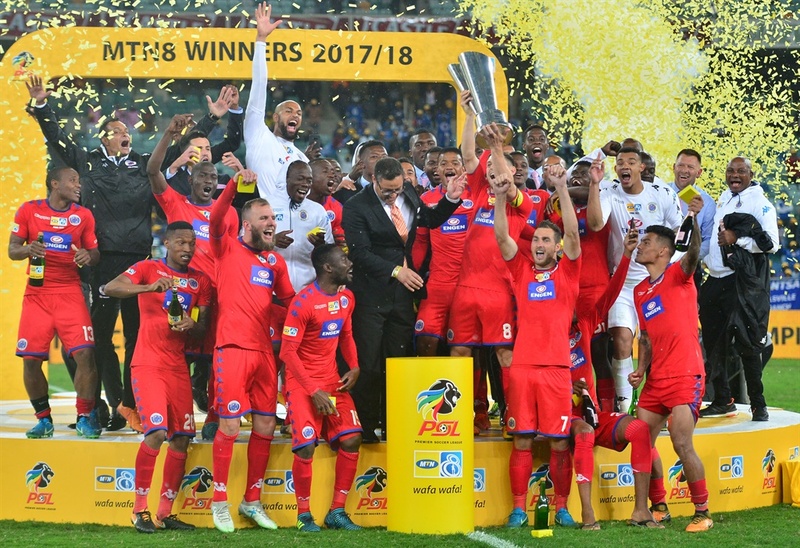 SUPERSPORT United claimed their first MTN8 title since 2004 after defeating Cape Town City 4-2 on penalties in the final at Moses Mabhida Stadium. The 10-man Matsatsantsa A Pitori denied Benni McCarthy what was going to be his first cup glory since he started his coaching career. SuperSport goalkeeper Ronwen Williams was a hero for his side making two saves to ensure that Matsatsantsa clinch the title over the Citizens after the sides had been locked 1-1 after 120 minutes of play on Saturday night. The victory earned SuperSport a whopping cheque of R8 million. This is their second top eight title in history. This was also revenge for last season’s defeat to the Citizens who defeated SuperSport in the Telkom Knockout final, while they were led by Eric Tinkler. The Cape based outfit led Saturday’s encounter for over an hour after Sibusiso Masina had given them the lead midway through the first half, before Thabo Mnyamane’s 79th minute equaliser sent the match to extra time. SuperSport were forced to play the remainder of the night with 10 men after Mnyamane went off injured immediately after netting the equaliser. But that did not affect Tinklers game plan as they managed to hold on until the penalties. Williams was fantastic in SuperSport goals as he saved Lyle Lakay and Judas Moseamedi’s spot-kicks, with Dove Wome scoring the winning penalty to earn Matsatsantsa a 4-2 win in the shoot-outs.